Gambling holidays are incredibly popular, with people traveling far and wide to splash some cash and feel the thrill and adrenaline that comes with the roulette wheel. While the option to stay at home and use sites like Gaming Club is there, it doesn’t have the same feel as being there in person. Rather than just list all the American gambling locations, the list is as international as possible, to offer a whole range of gambling hotspots, some might even surprise you! It’s impossible to think about a gambling holiday without considering Las Vegas; it’s the most famous gambling location in the world. If you’ve never been it’s worth going, with iconic casino’s, miniature world landmarks, 24 hour gambling action, Elvis Presley impersonators, and all the shows you could ever want to see – it really is a testament to human entertainment. It’s not number one on the list because that’s too obvious, I wanted to show what the rest of the world has to offer, rather than just America. While you might be looking for a gambling holiday, you’ll still want other things to do between trips to the casino, and what better way to spend a day than lounging in the Caribbean sun, on one of the finest beaches in the world, with a rum based cocktail in hand? After a day of relaxing you’ll enjoy the adrenalin rush of the casino even more. With some spectacular casinos like Allegro Aruba Beach and Crystal Casino, you’ll never spend long looking for somewhere to spend the night and earn some chips. South Africa is becoming more and more popular, and while it might not be an obvious choice for a gambling vacation, casinos are quickly spreading throughout South Africa, with Sun City being the number one place for gambling. Luxury hotels and fine restaurants back up the casinos of Sun City, they even have shows that match up to what Vegas has to offer! In some respects Sun City top Vegas, since it is placed next to Pilanesberg Game Reserve, so during the day you can go on safari and see the spectacular wild life and scenery of Africa! Macau is separate from Mainland China and has an economy heavily dependent on tourism and because of that casinos became big business in Macau and it is quickly becoming the new hotspot for gambling in the world. Casino owners from Las Vegas have even started opening casinos here, which says a lot about the future of Macau. The largest casino in the world, The Venetian Macau, is in Macau, one of the casinos opened by owners from Las Vegas. 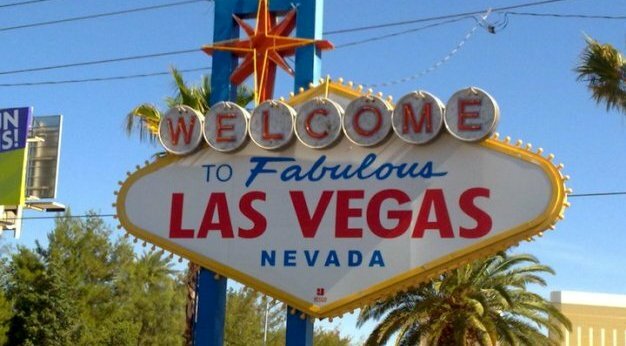 So this seems like the new gambling vacation destination! While Las Vegas has the bright lights, Monte Carlo has the elegance. One of the most beautiful places in the world, its likely that while at a casino here you’ll end up competing against celebrities, royalty, and billionaires. It’s certainly no cheap holiday that’s for sure, but after visiting all the other destinations you should have enough winnings to go and rub shoulders with the elite.